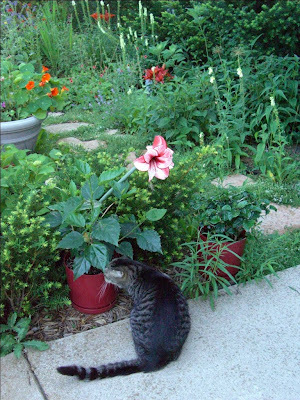 Peppermint sniffs at the base of an Hibiscus rosa-sinensis, with Hippeastrum 'Charisma' blooming in the background. I hope everyone who celebrated Thanksgiving this past weekend had a happy one, and that those for whom this is not a custom had a great weekend as well. There will be a return to more substantive posts this week. Do you want buy best cactus humidifier? Then visit Relaxing Humidifier. The store offers variety of humidifiers at reasonable rates.